The FBI says a bank robber who held up the Fifth Third Bank at Diversey and Clark on August 5 struck again this morning. Agents say the man walked into the Andersonville Fifth Third Bank, 5501 N. Ashland, around 11:35AM and demanded cash. 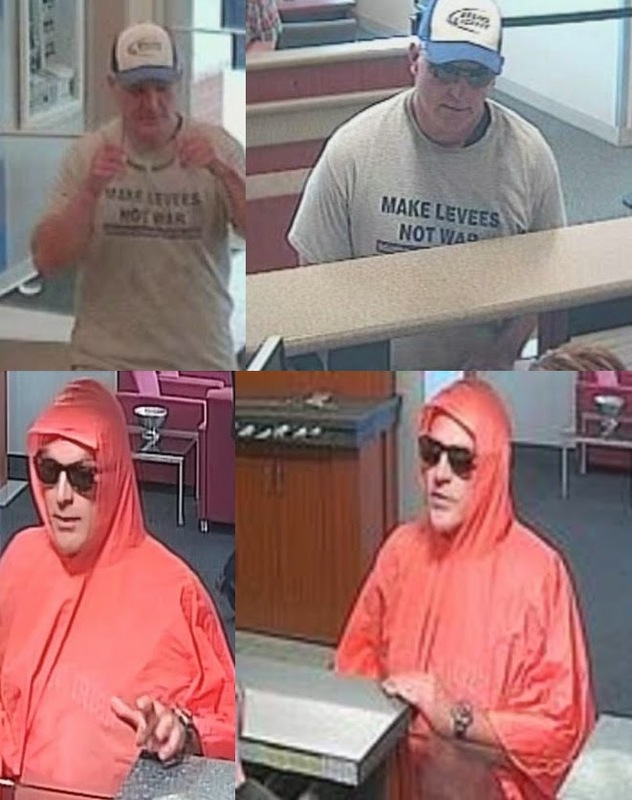 The bandit, who wore a cheap orange rain poncho and sunglasses in the first heist, revealed his full face today. He was last seen walking eastbound on Catalpa toward Clark Street wearing a Bud Light baseball hat and a gray t-shirt suggesting people should "make levees, not war."